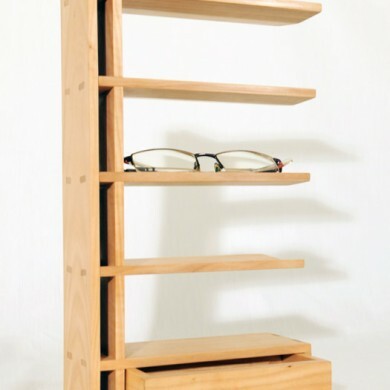 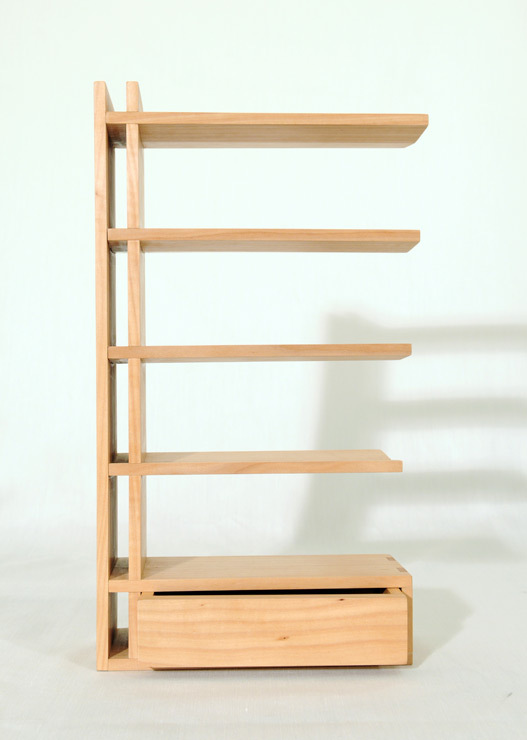 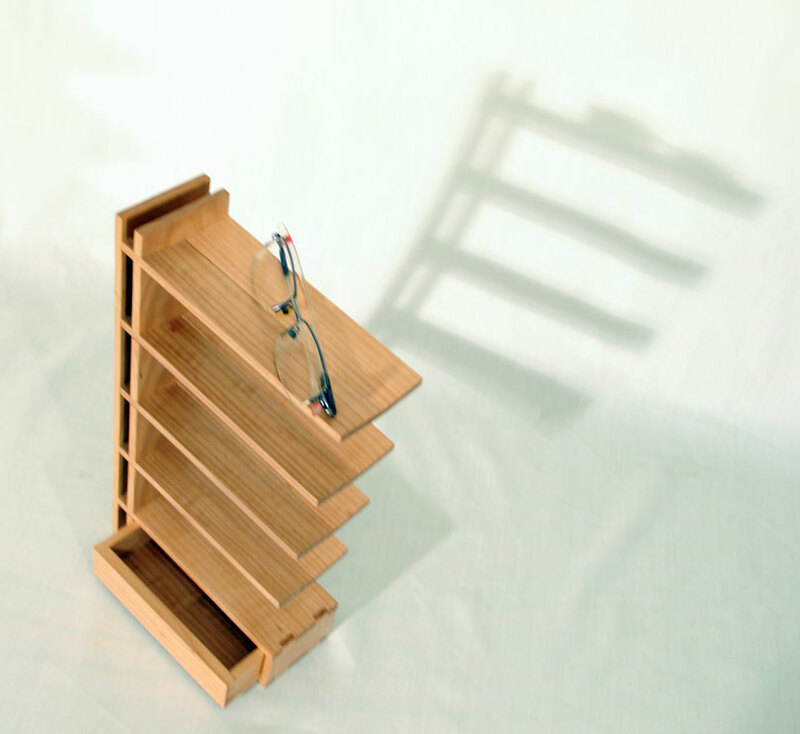 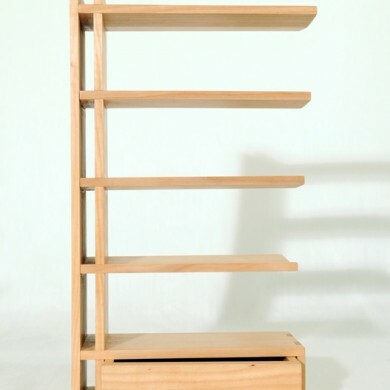 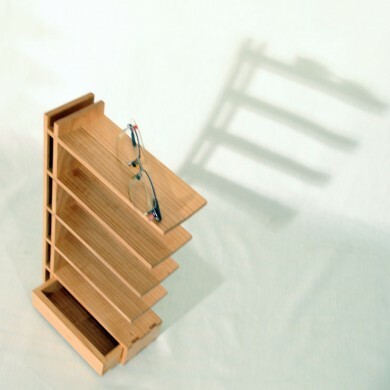 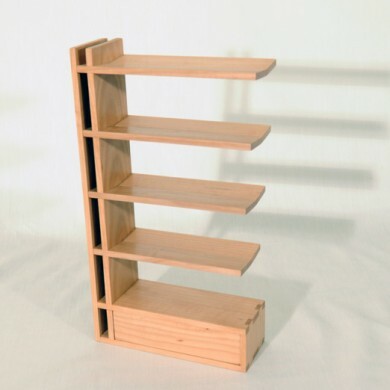 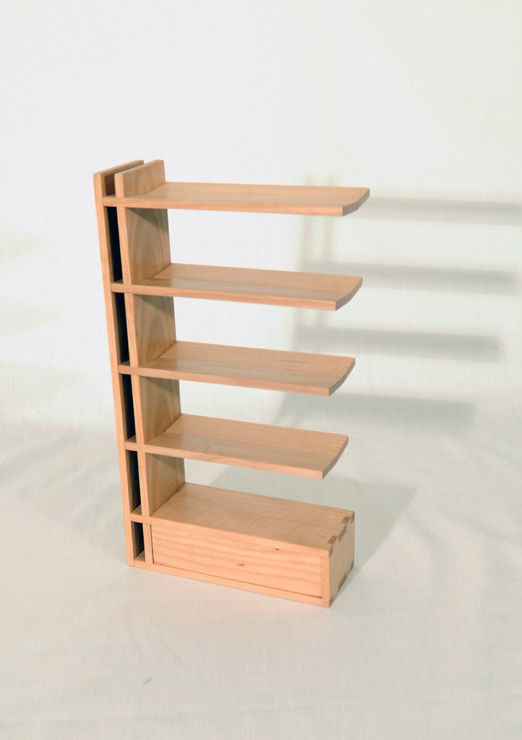 Display and store your glasses on this cantilever shelf that allows you to easily choose the pair you want for the occasion. 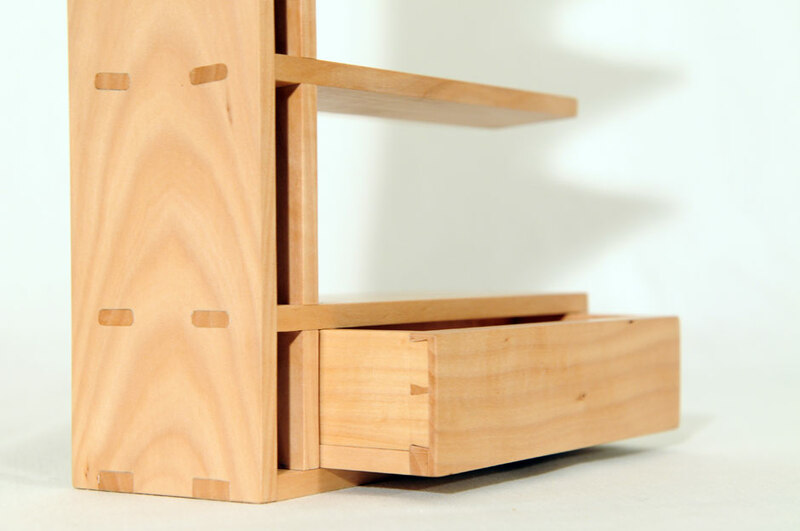 The piece is a fusion of the Arts and Crafts and Modernism, using traditional exposed joinery and I beam / cantilever technologies respectively. 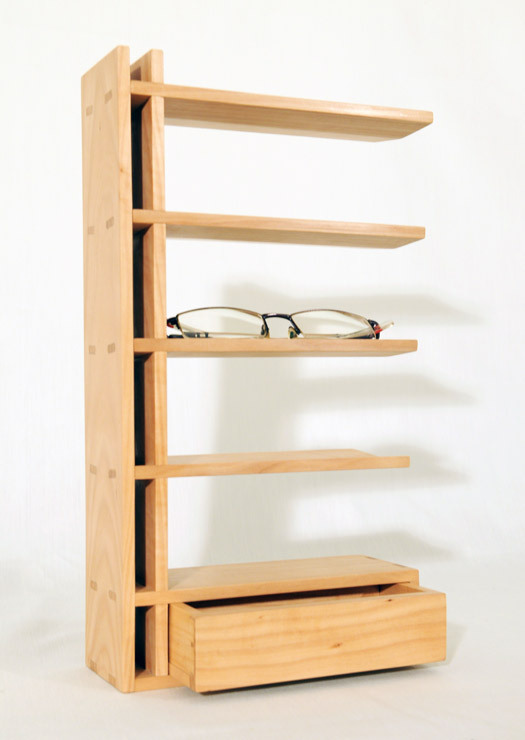 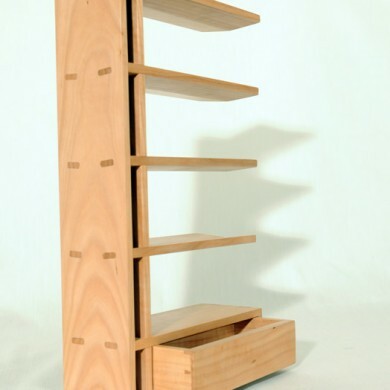 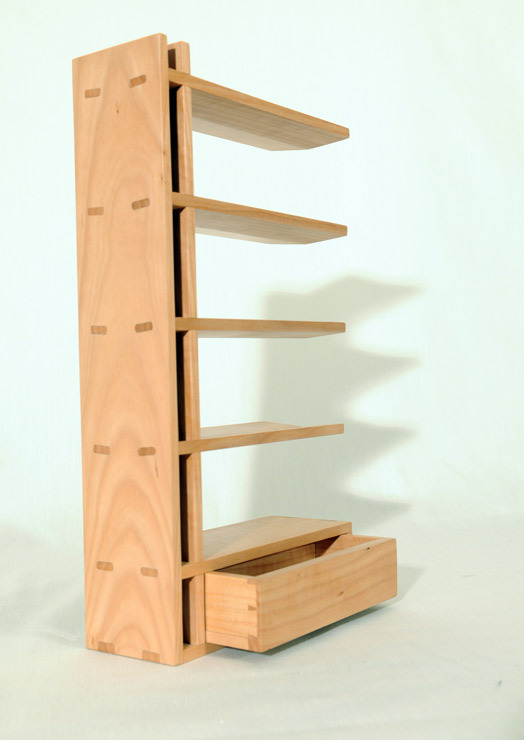 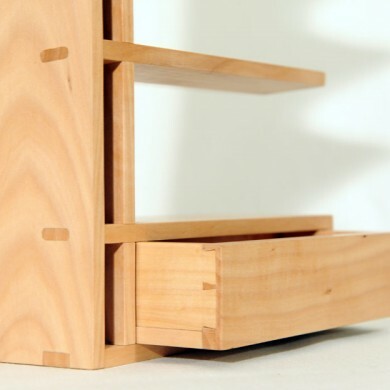 The result is an elegant solution to a contemporary storage problem.